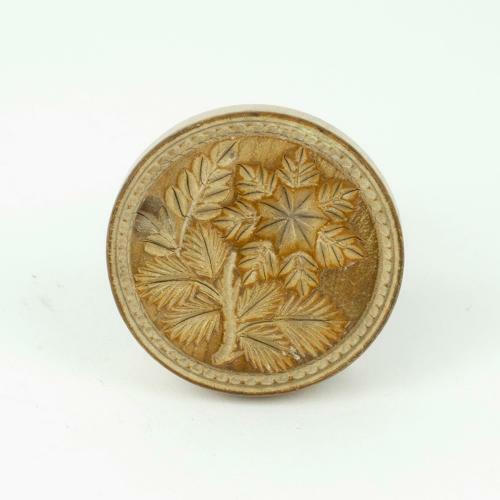 A small, 19th century, English butter print carved with a stylised flower. This print is carved in beechwood. The carving is deep and it is very well detailed. It dates from c.1890 and it is in excellent condition. The wood has a lovely, honey coloured patina.